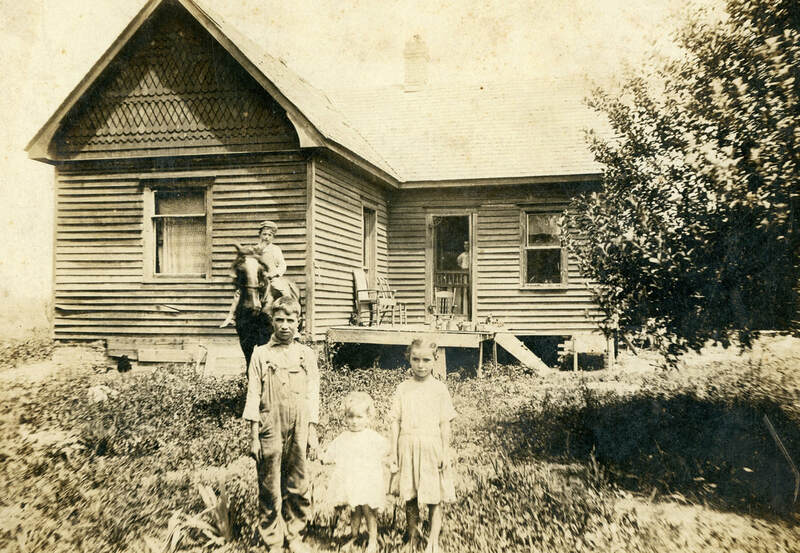 George and Eva Winkler Sitzman came to the United States in the 1880s and ended up in Plattesmouth, NE working for the railroad. 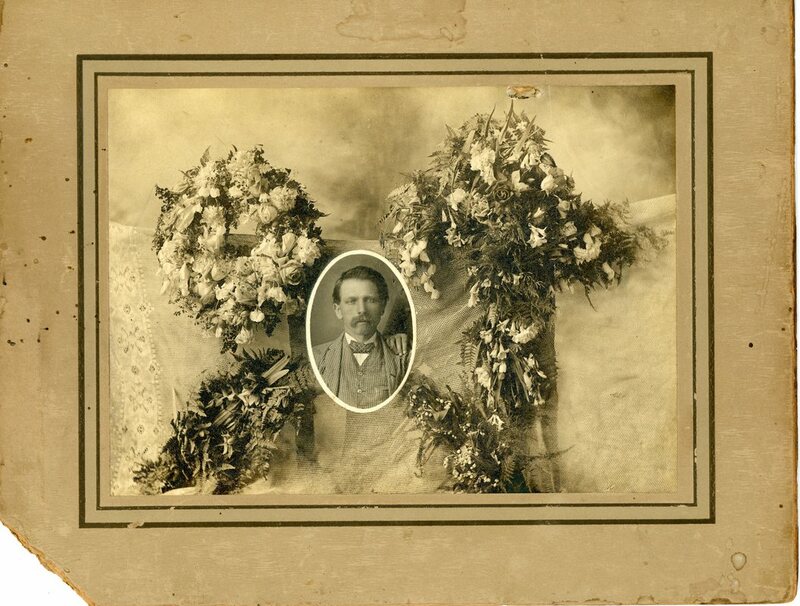 One of their sons, George Sitzman married Anna Didlo, of a 1st generation French family in St. Joe. 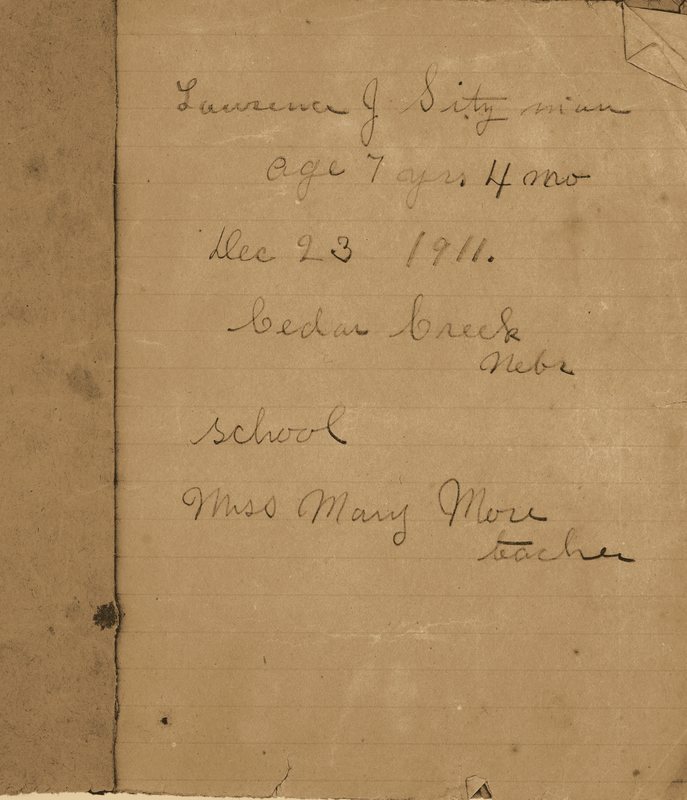 One of their sons, Lawrence, married Becky Roberts of Elk Creek. They were my parents. George and Eva lived in Plattesmouth. 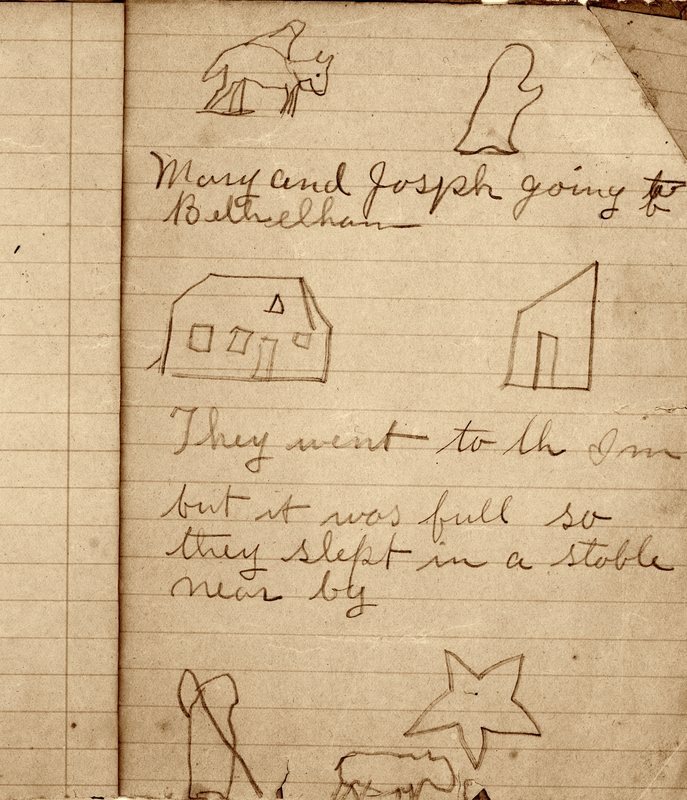 Their son George lived in Cedar Creek, a little town near Plattesmouth, Nebraska, later in St. Joe, and then spent their remaining years in Auburn, Nebraska. Lawrence Sitzman in christening gown. Photo Sitzman 4. Eva Sitzman with her son George and daugher-in-law Anna Didlo Sitzman, and George and Anna's four oldet children Lawrence, twins Margarette and Marie, and Ferrel. Marie died as a child. Photo Sitzman 13. 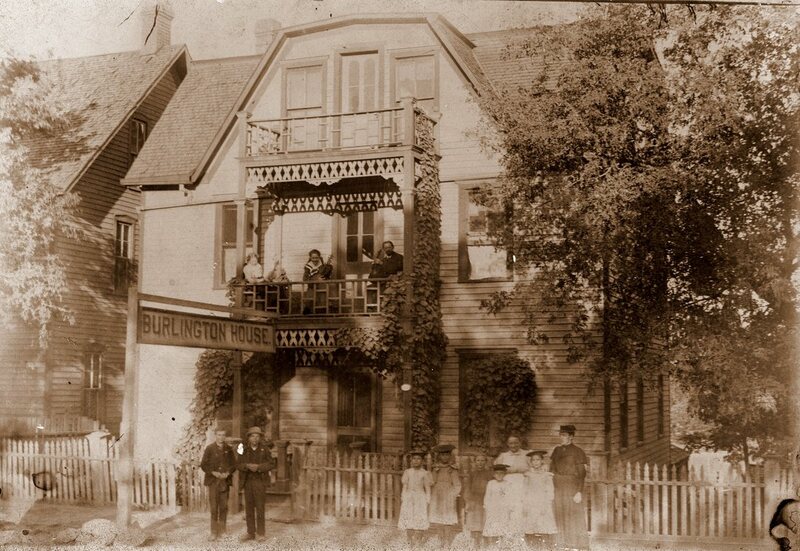 This is the Burlington House, a railroad hotel built by George Sitzman for his wife Eva so that she would have an income in her old age. In front are members of their family. 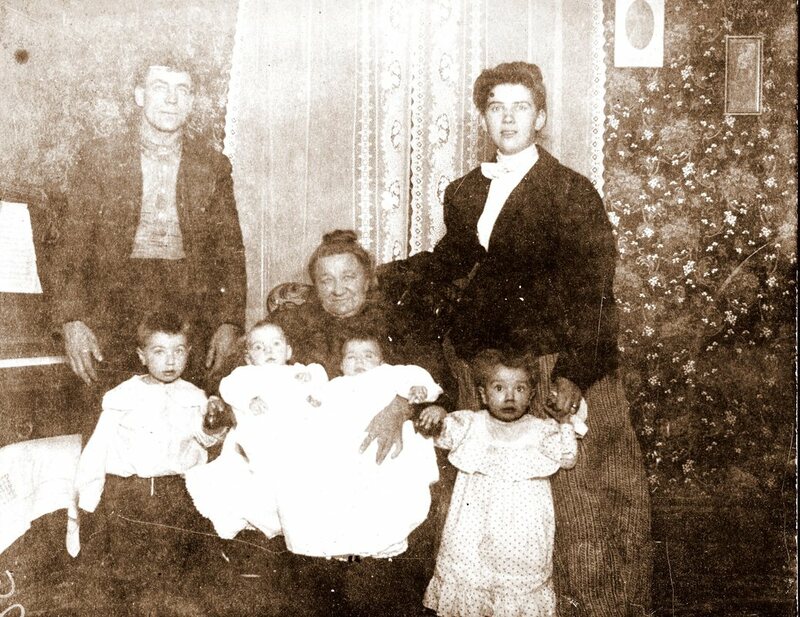 I recognize Eva 3rd from left, next to her right is her daughter Mary, probably with her husband and their daughter Violet. Son George John and wife Anna are the last 2 in the back row, with their first 4 children, Lawrence, twins Margarette & Marie, and Ferrel. Photo Sitzman 2. 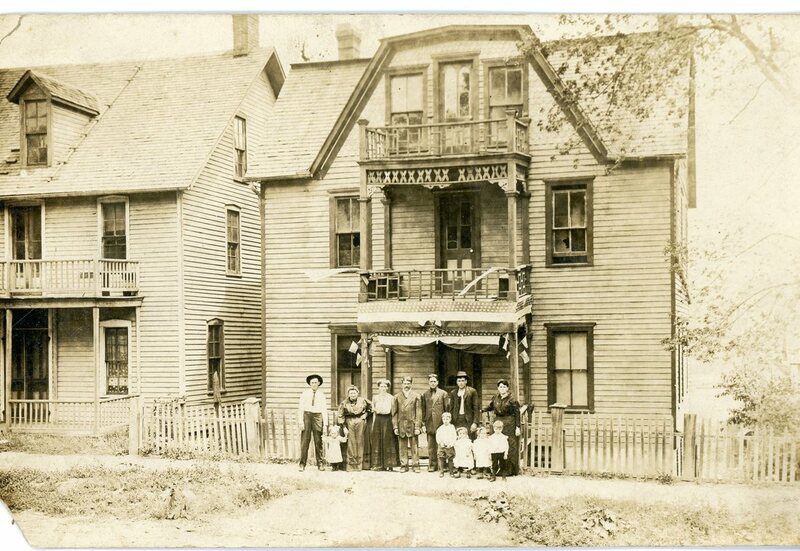 The local historical society had no information about the hotel when contacted in the 1990s. The Sitzman family at the Burlington House hotel. Don't know who is who. Photo Sitzman 10. 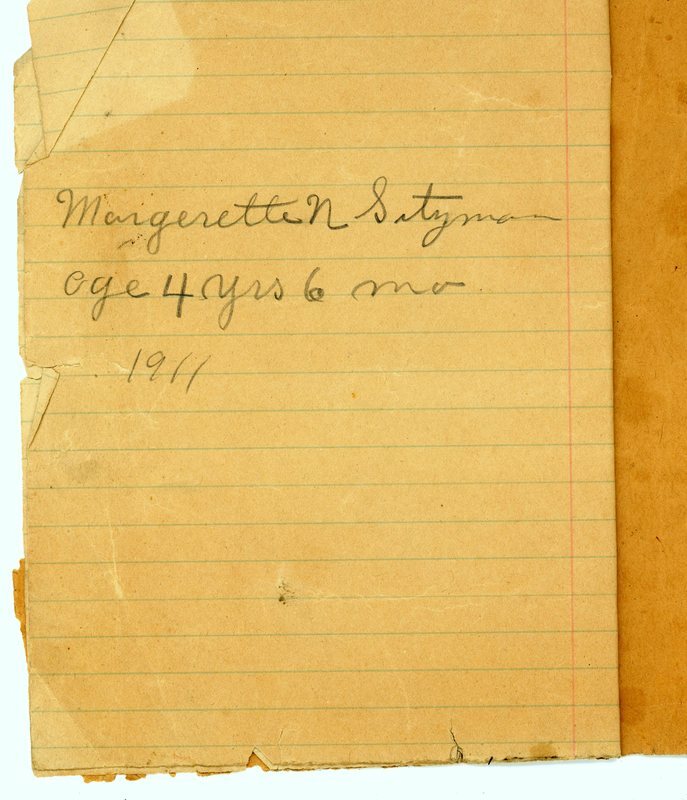 Children of George & Anna Sitzman. Lawrence is on the horse, and in front are Ferrel, Margarette, and Evelyne. Photo Sitzman 5. George & Anna Didlo Sitzman and their grown children. Everette, Bessie, Evelyne, Margarette, Ferrel, and Lawrence. Photo Sitzman 6. George & Anna Sitzman, their children, and their grandchildren. 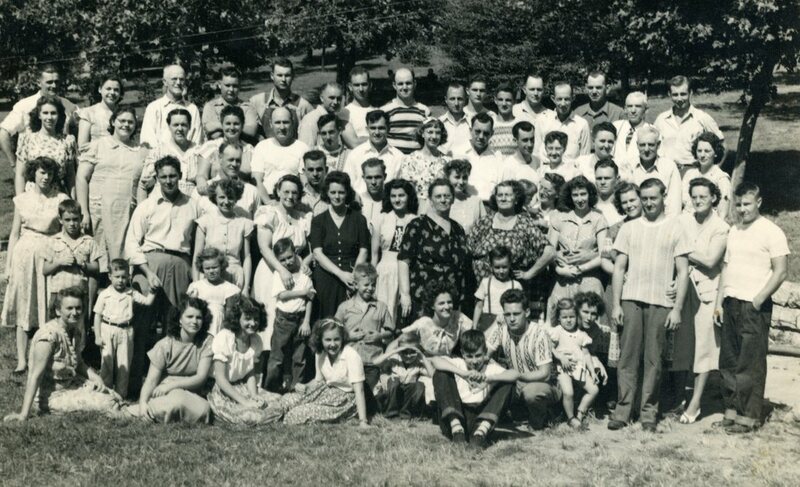 Back row: Bob , Dutch, don't know who is holding a baby or the wife next to him,don't know, Raymond Whitlow, don't know, Evelyne, Ferrel and probably his wife, Velma, Lawrence & wife Leona, Fred, then Ferrel's son Sonny I think. 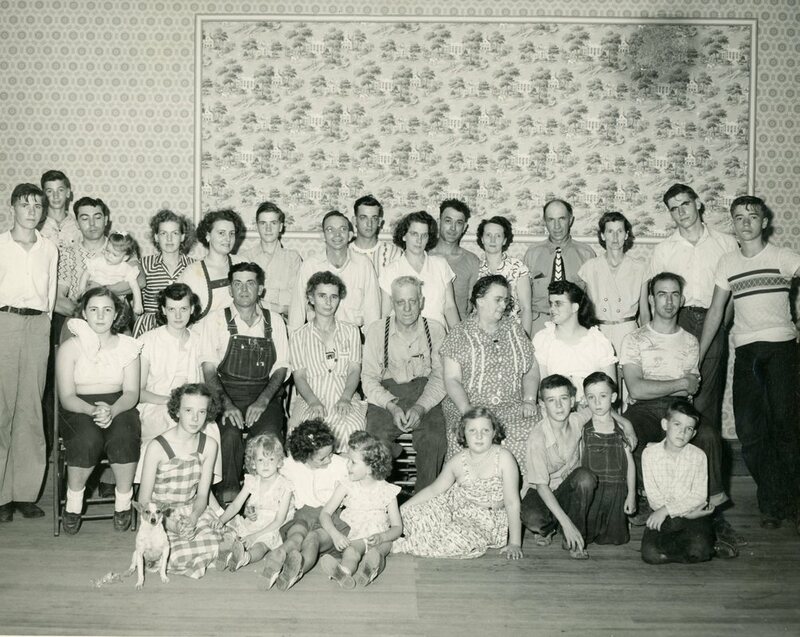 Middle row: Betty Whitlow, then don't know, then Perry and Margarette Sitzman Morris, George & Anna, probably Everette's wife, Thelma, then Everette. Front row: don't know the kids or the dog. Photo Sitzman 7.